HOW DID YOU FIND OUT THAT THIS PROGRAM MATCHED YOUR WISHES? Never in a thousand years, I would have thought I was going to study Electrical Engineering, but it has been one of my best decisions. Before I started my Bachelor's, I barely knew anything about electronics. I didn't know how to spell breadboard and you could have told me that the grid's output it only 10V and I would have believed it. Still, there was something in me that was curious to find out everything about everything. I wanted to know how my computer works: I’m typing on my keyboard and the letters are popping up instantaneously on my screen! When I’m editing a photo what happens with the file? How can an amplifier actually amplify sound? So I needed to find out which study programme would give me answers to my many questions. I decided that Electrical Engineering would bring me quite far. Because I am curious about future possibilities, and with Electrical Engineering they are endless. I am surprised by everything I learn and it will bring me further than I could have imagined. On my first day, I was nervous because almost everyone seemed to know more than I. I felt quite scared. As the first week passed, with its lectures, tutorials and project sessions I started to feel more confident. The lecturers, teaching assistant and my fellow students were extremely helpful and nice. Of course, it was not ideal to not know anything about Electrical Engineering at all, but it was not a problem either. The lectures are very informative from the beginning onwards. If I didn’t understand something there were many possibilities to ask for an explanation. That’s what I did with my breadboard-issue as well: I just asked the student assistants and they kindly explained it. HOW HEAVY IS THIS PROGRAMME? Electrical Engineering is an intensive study, sometimes it might be overwhelming. The programme takes up a lot of time and there is a lot of self-study to do. It is absolutely doable as long as you are committed to it. However, there is a team of study advisors, student psychologists, professors and module coordinators ready to support us. You will get all familiar with these people once you start your first year. 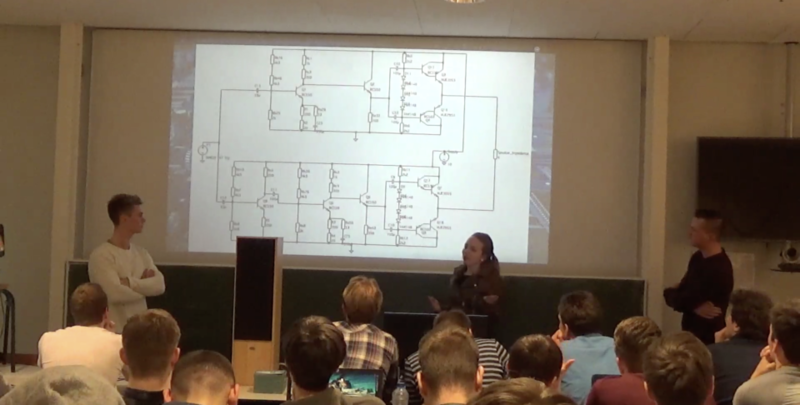 While the year progressed, I learnt more and more and it is amazing to see how within a year you are able to make such cool things: The module in which we designed our own audio amplifier was amazing. By using the knowledge we gained in the lectures, we were able to make a working audio amplifier. These experiences are definitely motivators to keep on going. It is a hands-on programme: intensive in study-load but you also do literally a lot with your hands to gain practical experience. This combination makes it a very unique and interesting study programme. There is more about study-life than just studying, there are a lot of things to do next to Electrical Engineering to broaden your horizon. There are many sports, cultural and musical associations available on campus. 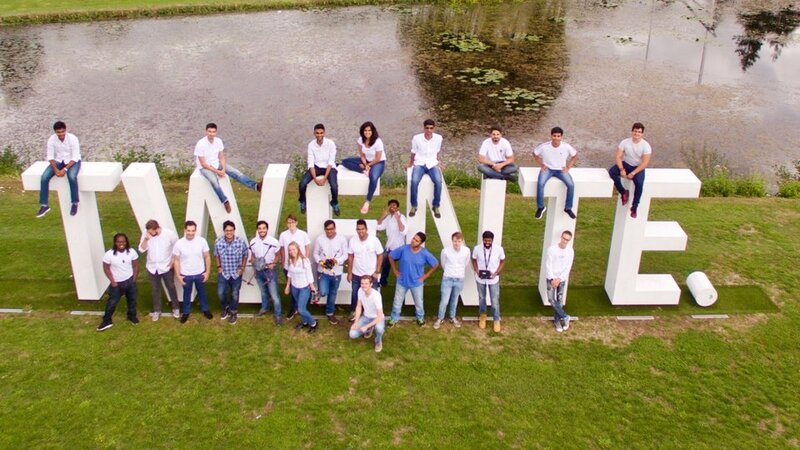 In my first year, I became a board member of A3T, the first competitive Drone-Team of the Netherlands, located here at the campus. I really like the overlap between Electrical Engineering and Drone-Technology, and what this opportunity also offered me is meeting more people from different studies. WHAT IS IT LIKE TO STUDY ELECTRICAL ENGINEERING AS A GIRL? If you are a girl, don’t feel held back by the fact that this is a male-dominated programme. Since everyone shares the same interest it won’t be difficult to find your place too. I would recommend Electrical Engineering to girls who are committed to what they are doing, curious about everything and who like to see theory being transformed into reality every module again. In the end, the most important thing is that you like your study, your lifestyle around it and the people you are with. Regardless of what programme you choose, make sure you feel comfortable with your choice and don’t let anyone influence you in your decision-making.